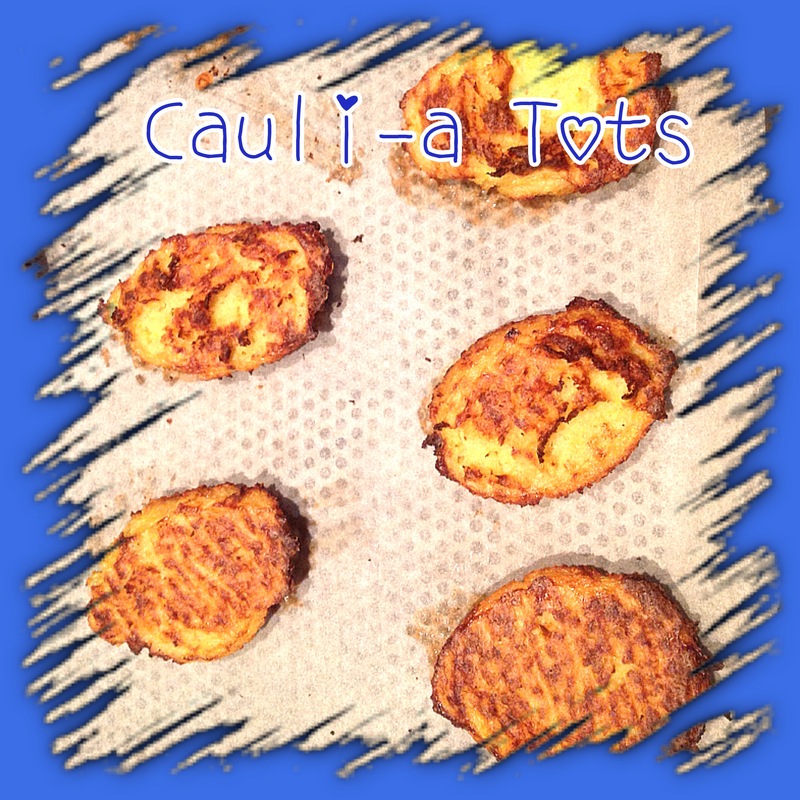 Cauli-tots, I love how versatile Cauliflower is! Cauliflower is such an amazing vegetable. Not only do I use it to substitute for rice, mash and wraps, but now I use it for making a substitute for potato dumplings aka tots. Finely chop the cauliflower. I use a food processor with the blade, due to speed and convenience, but you could chop it finely with a knife or use a grater. Add the rest of the ingredients, and make sure all is well mixed. Bake on a greased oven tray or on tin foiled oven tray, in a preheated oven of 200 degrees celsius for 15 minutes, then take out & flip them over, and bake for a further 10 minutes. If your sizes are larger, then baking time might take longer. This entry was posted in lchf, LCHF recipes, Rolls and the like and tagged atkins potato replacement, banting low carb, cauliflower, cauliflower tots by angelb38. Bookmark the permalink.